In chess, more than in any other game, battles are won and lost in the mind. 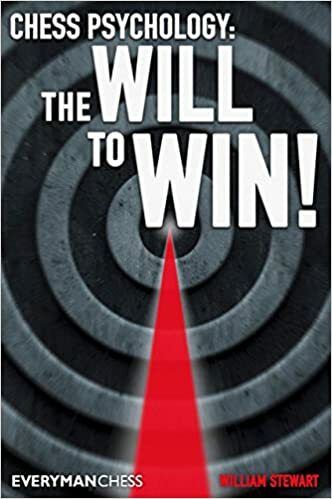 US National Master William Stewart is convinced that a positive attitude is crucial if you want to develop and achieve success as a chess player, and in this book he focuses on the vital subject of chess psychology. All the key areas of chess are covered here. Stewart highlights the principles of successful opening play and outlines an easy-to-learn starting repertoire. He also examines positional play, defensive resilience, typical mistakes and how to avoid them, tournament strategy, clock management, how to study chess and much more besides. This book is packed with tips and practical advice for beginners and intermediate players, and anyone wishing to improve their mental approach to chess.